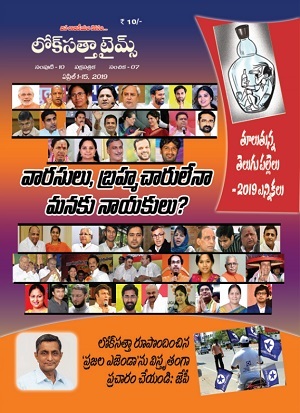 Lok Satta News: Lok Satta unit formed in U. K.
Non-resident Indians in the United Kingdom drawn from Andhra Pradesh, Karnataka, Maharashtra, Orissa and other States have formed ‘Lok Satta UK,’ impressed by the Lok Satta Party’s citizen-centric politics. Giving this information to the media here today, party General Secretaries Katari Srinivasa Rao and V. Laxman Balaji said that the Lok Satta UK comprising doctors, engineers and students is raising resources to help the Lok Satta face the 2009 elections and fighting for voting rights to NRIs. 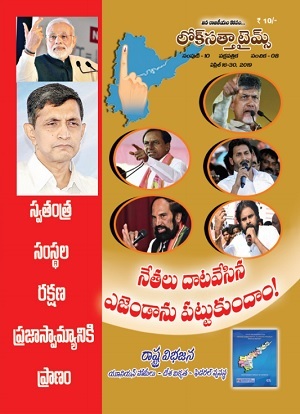 The campaign in the UK is led by Mr. Venkata Raghavan Guduri (raghava.guduri@googlemail.com). Some of the NRIs are planning to return to the country and play an active role in the Lok Satta Party by starting units in their States. Already Mr. Alok of Uttar Pradesh has returned to the country and started working for ushering in new politics. NRIs in the UK will help the Lok Satta Party in opening citizen service centers in the country once the elections are over, Mr. Srinivasa Ra and Mr. Balaji said.